Bakugan is the all new action adventure game that has been critically acclaimed as one of the best creations ever to come out of the Activision studios. The game has extremely good graphics and a reasonably good game play engine but I could not really get to grasp with the story line as I found it quite confusing and there were many lapses in continuity. 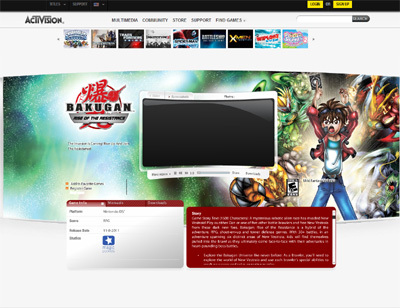 We have also compiled a Review System for this, of which Bakugan is Rated as Three Stars, the third highest possible score available from the Game Review Team.